Has the trip changed you? I was asked this question by a friend. The answer is yes, although it’s complicated to say exactly how. But here’s a really simple example. 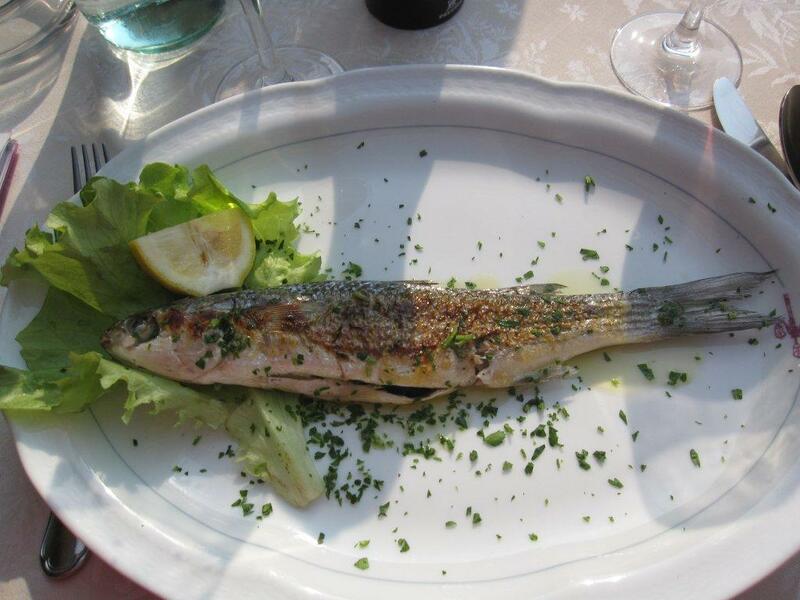 Lunch in Venice – Delicious! Another thought: the portion size looks small to anyone used to the huge American portions sizes. Hi Vered. Yes, I actually finished my meal. My Mom would be proud. As long as it doesn’t start telling jokes, you’re good to go! LOL Maha. My dad totally has one of those singing/joke-telling fish.